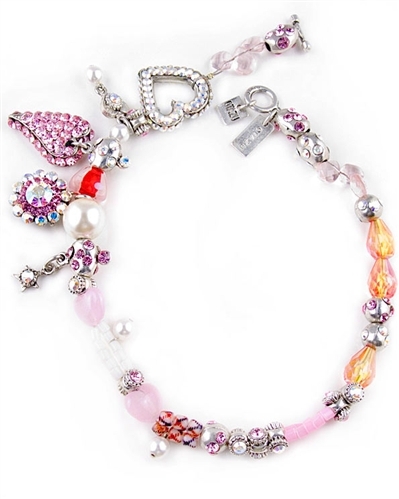 A beautiful charm necklace, dressed with colourful beads, charms and pearls. A showstopper, this playful necklace is one of the signature pieces by Otazu. Length: 43cm / 17 "